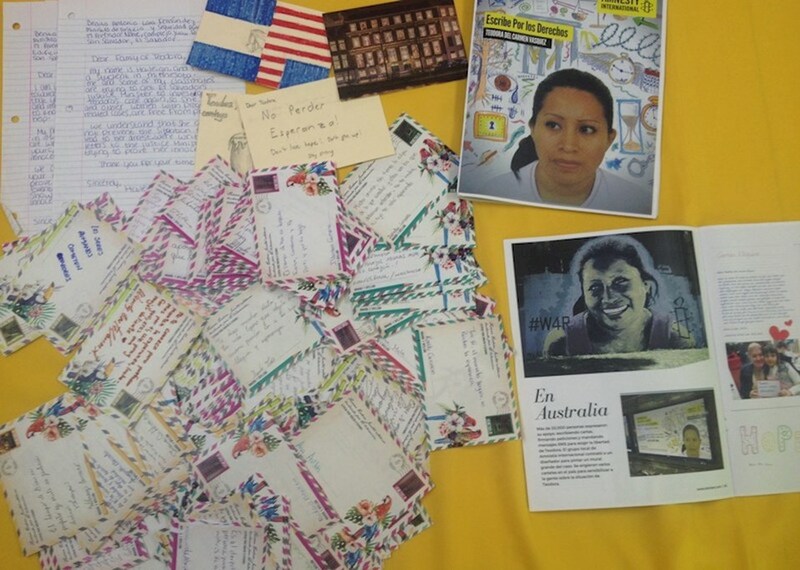 Teodora has been imprisoned since 2007 after she suffered a stillbirth. She was later charged with “aggravated homicide”, accused of having had an abortion which is banned in El Salvador. Coming from a poor, rural family, she could not afford a good lawyer. She was sentenced to 30 years in prison. María Teresa Rivera is serving a 40-year sentence for the same charge after having a miscarriage. Both women have young sons who have only seen their mothers a handful of times in the intervening years. Teodora’s parents, María Elena and Juan, have not been able to visit their daughter since June 2015. 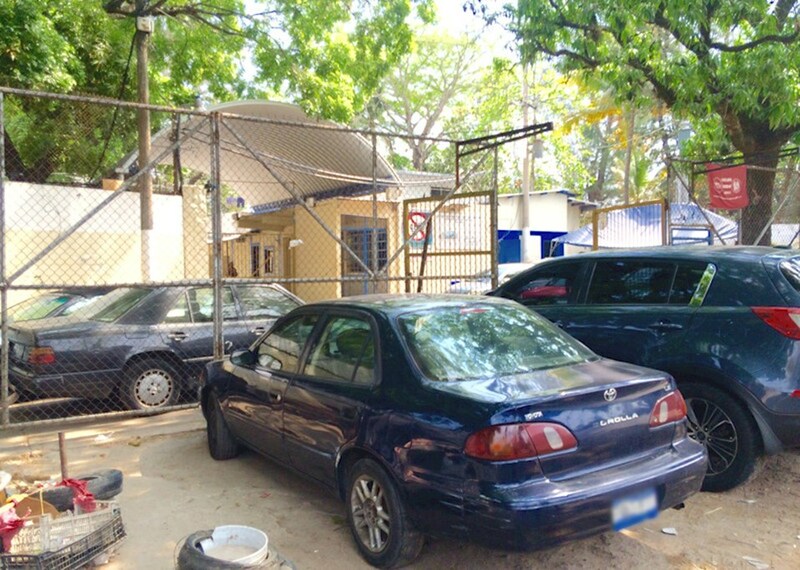 Their home is nowhere near the prison, and the personal and economic burden of leaving their family behind to travel to the prison is very high. Added to this is the convoluted paperwork that family members must complete just to request a visit with their daughters. Teodora and the other women depend on their visitors bringing these supplies since it’s the only way they can get them. 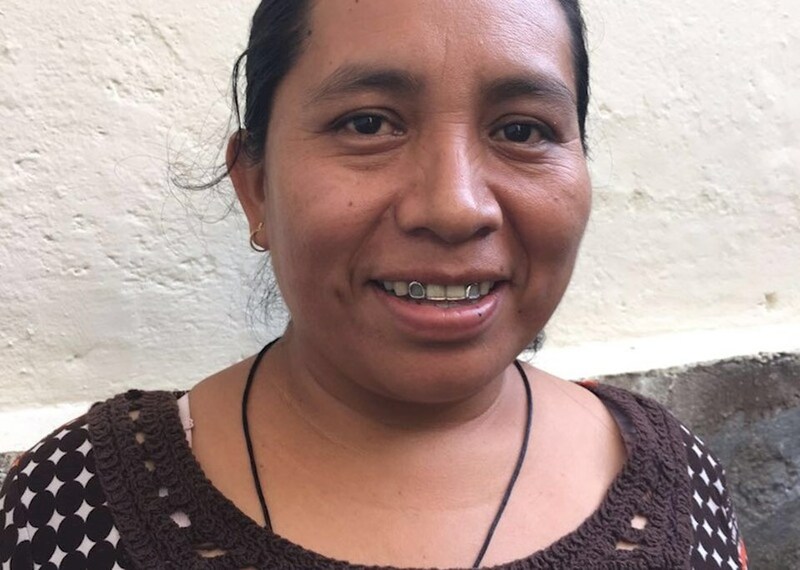 María Teresa relies on the kindness of other inmates to share things like shampoo, toilet paper, and tampons because her son is too young to visit her alone and she has no other immediate family members. She tells us that she feels lucky to count some of these women as her friends. It suddenly occurs to me that until her son comes of age, María Teresa will have no visitors except for people like us. As we speak she cries and my colleague hands her the only thing the authorities did not confiscate – a crumpled tissue from her back pocket. Rather than use it to wipe her eyes, María Teresa carefully smooths the paper out on her knee and keeps it. Everything here is something to be treasured and saved, even an old crumpled tissue. 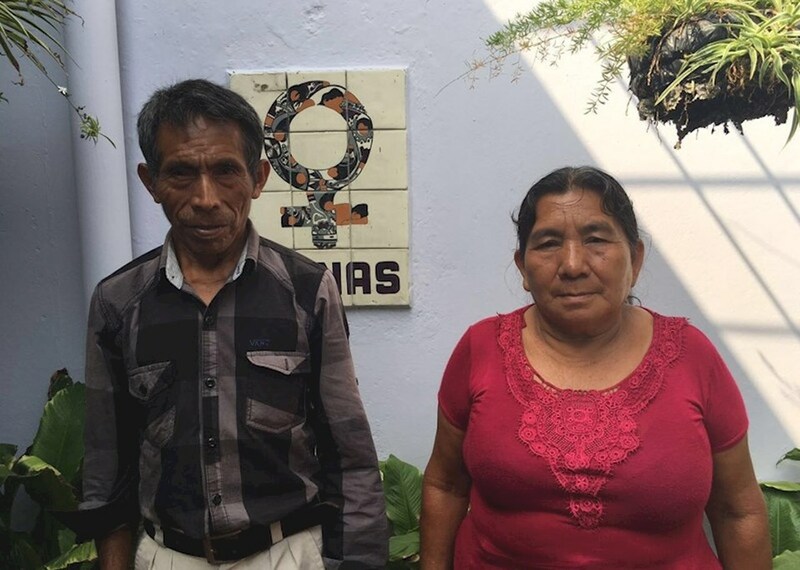 Despite not being able to see their daughter on the day we visit her, the prison authorities allow María Elena and Juan to visit a few days later. Teodora is positive about the future. She tells us she is healthy and well, and has been taking classes inside the prison so that she can continue studying when she is released. She hopes to one day go to university and get a job. But her biggest wish for the future is simple: to be reunited with her son and loved ones. 8 May marks Teodora’s 36th birthday. Call on the Minister of Justice to release her immediately so she doesn’t spend another birthday behind bars. This entry was posted in Americas, Women's Rights and tagged el salvador, María Teresa Rivera, mother's day, Teodora del Carmen Vásquez, women's rights by Guest Writer. Bookmark the permalink. 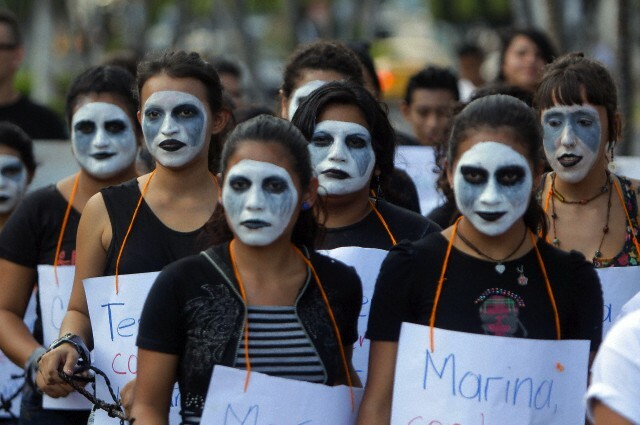 Why is El Salvador Cruelly Punishing Women Who Need Medical Help? OMG! This is unbelievable! Lord, these women suffered enough!! Luckily I don't live in El Salvador or I would have been gaoled between my first and second babies. With some exceptions (e.g., the PRD municipal government in Mexico City), the left in Latin American areas with which I am familiar does little to advance a woman's right to choose. The situation in El Salvador, though, is something that no social conservative I know of in the United States (nor even Donald Trump in an unguarded moment) would endorse. It's simply unbelievable. Yet another form of atrocity to become aware of!! Free all this women! NOW!! They have suffered more than enough! They should not even been in prison, but with their families! They were in a desperat situation when the miscarriage happend! They are poore, and I know for sure that rich women are able to fix this without any trouble at all! And what about the men/boys that made them pregnant? Can they continue without any responsibilities? Women/girls boddy belongs to themselves, and it must be respected! In scool, the pupils must, as early as possible, learn about birthcontroll, to avoid unexpected pregnancy. The lawmakers shood/must care about this instead of making it worse, and putting them in jail for 30 years!!! It is a shame to the government i El Salvadore to still keep them in prison, and to have such laws! FREE ALL THIS WOMEN NOW! This is despicable and should be STOPPED !!! These women should not be jailed for the cause of a miscarriage, or stillbirth nor abortion due to natural causes. Please free them. This is insane ! Estas nujeres sufrieron mucho al ver perdido sus hijos y no merecen carcel y menos en ese tipo de condicion!!! This is so unbelievable to be put in prison because u lose a child. It is very cruel and unfair. These women have had a tragic loss, they have lost their children and instead of getting any kind of support, they received a 40-year sentence. It is unbelievable. I had no idea about this. Pretty interesting subject for sure though. Alas! how crucial it is! Many of us celebrate Mother’s Day which is May 8th in this year but we don't know the history to celebrate it. This article discusses details about it. If u seek a quit-table, affordable & guaranteed roofer, Roofing Cypress is a reliable name. They not only protect your house & family but also give a finishing touch that increase the value of your house.